Matterhorn Metal Roofing is on the forefront of technological advances when it comes to roof covering systems. Made from a high grade steel, Matterhorn Metal Roofing is 100% recyclable. While this is one of its most prominent features, a better feature is that for the entire time you live in your home you will very likely never have to see it recycled. Matterhorn Metal Roofing is truly a lifetime product. On average an asphalt roofing product lasts between 12-14 years on a home. This is typically due to some or of damage or improper maintenance on the roof over the time period. Steel roofing far surpasses the life of asphalt, typically lasting three times as long. While metal roofing is one of the most commonly installed products at our Denver office, Ohio is just now really starting to see the benefits of metal roofing products. Thanks to our close work with Matterhorn, our Columbus office (located in Worthington) is the very first registered Summit Contractor for Matterhorn Metal Roofing systems in the Columbus area. We are proud to be the first roofing company installing Matterhorn Metal Roofing systems in Columbus, as we find it to be the most realistic and durable alternative to wood shakes, slate and clay tile. 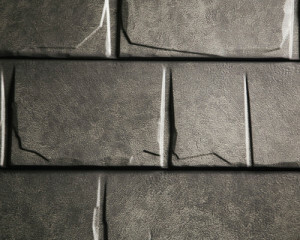 Using advanced application techniques, the Matterhorn Metal Roofing system is colored to look like authentic wood shakes, slate or clay tile. This color application has its own separate warranty, which is guaranteed to not fade for 30 years! Matterhorn will include 100% labor an material if there is fading within the first 10 years, and 50% for the next 20. No other exterior product using color application has such a well covered warranty. What’s even better than the color warranty is the performance of the product against the elements. 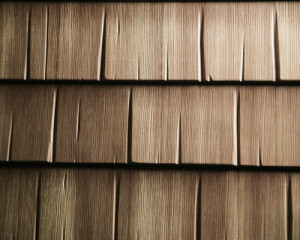 Matterhorn Metal Roofing is a Class 4 Impact Resistant shingle. This is the highest grade of hail resistance currently possible, and may entitle you for up to a 20% discount on you home insurance premiums. When paired with the synthetic underlayment, Matterhorn Metal Roofing also provides a Class A fire rating. This can also give you a discount on your home insurance premiums, but more so gives you piece of mind that in case of a home fire you will no longer have a product that can accelerate a fire on your roof. Combine both of these advantages with a 130 mph wind warranty, and Matterhorn Metal Roofing systems have one of, if not the, best warranties on the market. Choosing a roofing premium roofing product in the Columbus, Ohio market allows for a lot of choices. The most common denominator for choices on which product is applied usually comes down to price. While choosing a Matterhorn Metal Roofing product will likely cost more money than a traditional asphalt shingle, the energy savings over the life of the roof, combined with the savings of the roof lasting three times as long, will far surpass the initial investment. Keeping the attic space cooler due to a high reflectivity rating allows for decreased cooling costs in the summer. While asphalt products will hold heat for a much longer time after sunset, Matterhorn Metal Roofing products’ temperature will decrease very rapidly. For more information on the energy savings provided through these products, feel free to visit the Matterhorn Metal Roofing Energy Savings page. Please watch this short video message from Matterhorn about their phenomenal products, and how a metal roofing system is the perfect fit for your home or business. Contact information for our Columbus, Ohio office is also below if you require a certified Matterhorn Metal Roofing Summit Contractor!